Reel Splatter Productions » Doomsday Wins Best Feature at GenreBlast! Lots of news here for ya splatter fiends, so let’s dive right in! 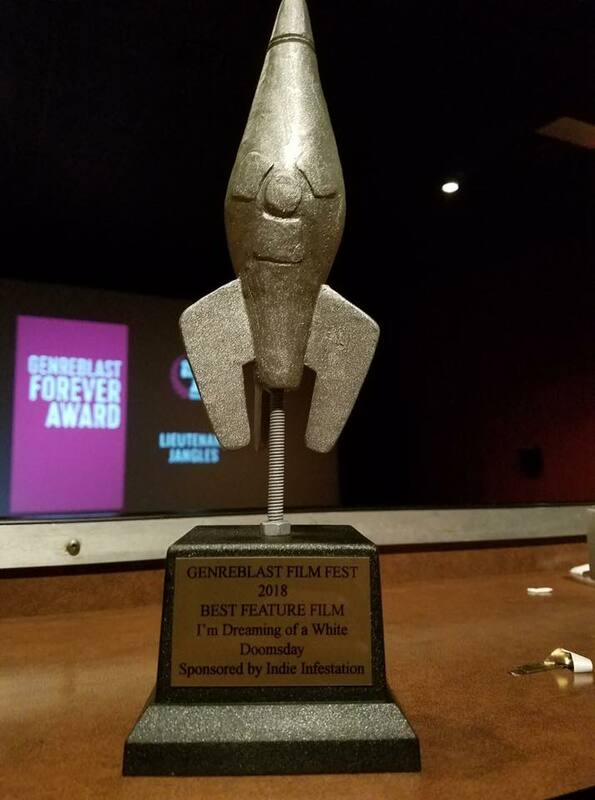 First, we are extremely proud to announce that I’m Dreaming of a White Doomsday won Best Feature at the badass GenreBlast Film Festival! We were also nominated for Best Actress, Best On Screen Duo (Reeve Blazi & Hope Bikle), Best Fx, Best Score, and Best Poster. The fest certainly lived up to its name, with a wonderfully eclectic mix of films that ranged from a whimsical children’s film to straight up 70’s style exploitation. Submissions for next year are open now and we highly recommend it! Next up we have another White Doomsday fest screening to add to the Winter Wasteland Tour! We will be playing at the Vidjam Horror Film Festival in Harrisburg, PA October 13th and doing a cast and crew Q&A afterwards. We’ll be playing with our good buddies, Chris LaMartina & Jimmy George, who are screening the awesome 80’s throwback WNUF Halloween Special! This is an event you don’t want to miss! 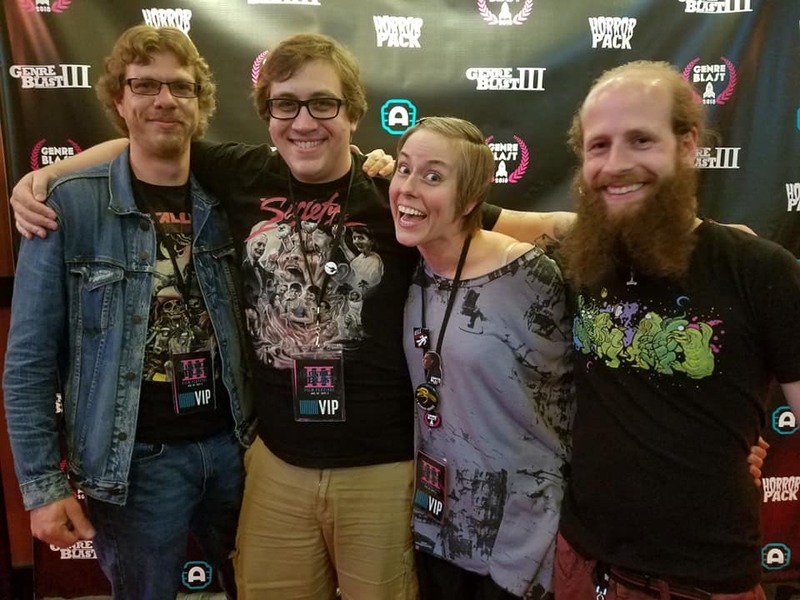 And finally we have 2 new interviews with yours truly, from Nevermore Horror and Schlock til’ You Drop! I’m especially excited about the Nevermore Horror interview because it’s fairly in depth and I got to cover a lot of things I don’t normally get to talk about. That’s it for now folks, but we have a huge White Doomsday announcement coming here soon, so keep them peepers open! As soon as we’re allowed to talk about it, you’ll be the first to know!